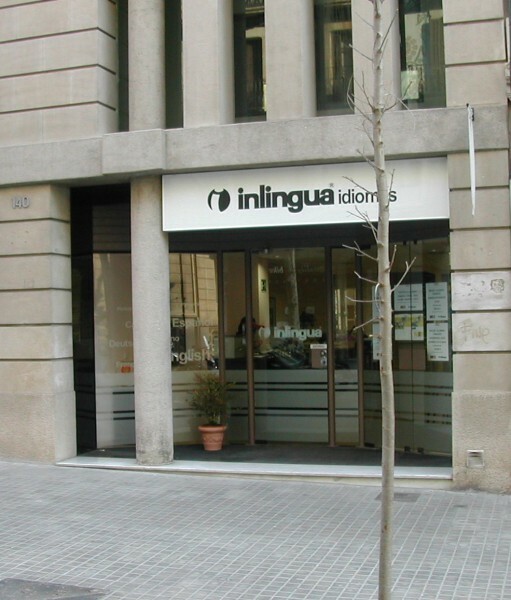 inlingua Barcelona is a language centre that is part of inlingua International, the largest language teaching organisation in the world. Since it was founded in 1968, it has expanded exponentially, and there are currently 350 schools in 44 countries in Europe, Africa, Asia and North and South America. 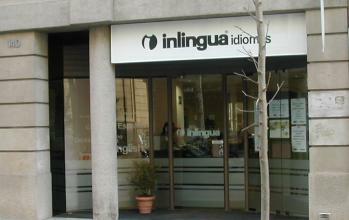 We strictly apply the highest quality standards for which inlingua International is renowned, offering a unique teaching method –the inlingua method– with our own materials designed and published at our Pedagogical Department in Berne (Switzerland). Our teachers, who are all native speakers and university graduates, receive ongoing training. All factors that help us ensure that our students reach their objectives. Our school is spacious and fully equipped, with over 700 m2 distributed over two-floors of a new building, 13 classrooms, offices, a 350 m2 garden, air conditioning and heating in all rooms, a 180 m2 rooftop terrace and break-study room. 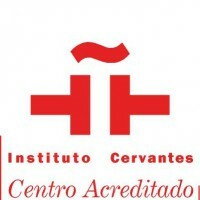 Our primary goal is our customers’ complete satisfaction, which is endorsed by the fact that we were awarded the ISO 9001 Quality Certificate in 1999, Accreditation from the Cervantes Institute in 2002 and are authorised as an official centre for sitting DELE exams. The centre is open from 8.45 am to 9.30 pm Monday to Friday, and 9.00 am to 2.00 pm on Saturday. CIP 120® (CRASH INTENSITY PROGRAM) This program is flexible insofar as the amount of class hours per day (between 4 and 8 hours a day), from Monday to Friday. It is a demanding program. Its structure ensures intense study of the language, classes being given by different teachers depending on the amount of hours selected at outset, and following the strategies laid down for the course. The end result is that the student can ably cope with the language after a relatively short time. Can be booked up to 4 weeks only. CIP 120® (CRASH INTENSITY PROGRAM) This program is flexible insofar as the amount of class hours per day (between 4 and 8 hours a day), from Monday to Friday. It is a demanding program. Its structure ensures intense study of the language, classes being given by different teachers depending on the amount of hours selected at outset, and following the strategies laid down for the course. The end result is that the student can ably cope with the language after a relatively short time, up to 4 weeks. MIP 720® (MAXIMUM INTENSITY PROGRAM) This course goes even further than the intensive one and is thus more demanding. This is nothing less than total immersion in the language. The private classes are structured right down to the last detail. Teachers carry out specific tasks, the purpose of which is to get optimum performance with the consequent fluency in the language. The course is comprised of 9 lessons a day from Monday to Friday from 9 am to 7 pm, including the lunch break, accompanied by a teacher during which conversation continues on a more informal basis, giving the student further opportunities to put into practice subject matter learned. 5 lessons are also given on Saturdays - alternatively and if the participant so requests, we can offer cultural excursions / visits in our city. Up to 4 weeks booking. CIP 120® (CRASH INTENSITY PROGRAM) This program is flexible insofar as the amount of class hours per day (between 4 and 8 hours a day), from Monday to Friday. It is a demanding program. Its structure ensures intense study of the language, classes being given by different teachers depending on the amount of hours selected at outset, and following the strategies laid down for the course. The end result is that the student can ably cope with the language after a relatively short time. Can be booked up to 6 weeks only. Learning takes place in a pleasant and friendly setting. Our teachers, who are true professionals in teaching Spanish as a foreign language, plan their classes based on the direct method, supported by our custom teaching materials, so that students learn and use the language naturally from the very first day of class. Thousands of students throughout the world endorse the success of our teaching system. Selected student residencies near to the University Campus. All equipped with now-a-days installations. •study room. 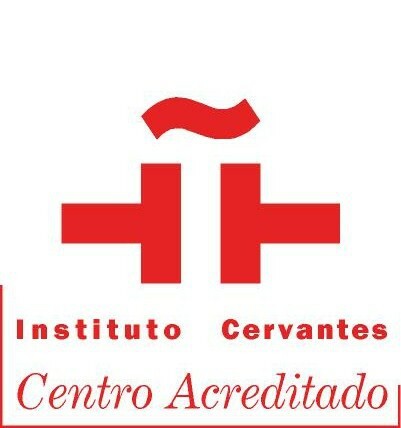 Our primary goal is our customers’ complete satisfaction, which is endorsed by the fact that we were awarded the ISO 9001 Quality Certificate in 1999, Accreditation from the Cervantes Institute in 2002 and are authorised as an official centre for sitting DELE exams. The centre is open from 8.45 am to 9.30 pm Monday to Friday, and 9.00 am to 2.00 pm on Saturday.